July 15, 2014 | Matthew R. Arnold, Esq. The latest serious head injury to a world-class football player has raised concerns over the safety of the sport and how it deals with concussions. This time it is not America’s version of football that is grabbing headlines. The concussion was not suffered on an NFL training camp field—the Buffalo Bills kick off training camp July 18, and most NFL teams don’t start until the following week. Instead, German midfielder Christoph Kramer collided with Argentine defender Ezequiel Garay during Sunday’s World Cup Finale. Kramer suffered a vicious knock in the face; he kept playing for 14-miuntes before being substituted. After the match, he said he remembered little of Germany’s 1-0 victory over Argentina. The Argentine team started at least two players in the World Cup finale who had suffered hard knocks to the head in a semifinal match against the Netherlands. Michael D’Hooghe, chairman of FIFA’s medical committee, said he was dismayed at watching Uruguayan player Alvaro Pereira resume playing after being knocked unconscious in an earlier game. FIFA is the organization that runs the World Cup. Americans aren’t as familiar with un-American football—also known as soccer—as the rest of the world, but they are familiar with sports-related concussions and their effects. Few Americans could have missed the amount of media attention devoted to football-related concussions in recent years. Democrat Representative Linda T. Sanchez of California told NFL commissioner Roger Goodell the NFL was like “the tobacco companies pre-’90s when they kept saying, ‘Oh, there’s no link between smoking and damage to your health’” at a 2009 Congressional hearing. That wasn’t the first—nor was it the only—Congressional tongue-whipping the NFL received on the subject. Some researchers have called for a ban on American football. Others have asked leagues ranging from the NFL to local little-league football chapters to take steps to minimize the risk of head injuries. Even the White House got in on the action, holding a “Healthy Kids and Safe Sports” concussion summit this past May. April 15, 2014 | Matthew R. Arnold, Esq. Many people have heard of the serious damage that can occur as a result of traumatic brain injuries. These days most of the press is given to soldiers or professional athletes who sustain powerful blows to the head on a regular basis. While it’s true that these groups are disproportionately affected by traumatic brain injuries, it’s also true that ordinary people can be harmed just as easily. Just this past week, a 12-year-old boy in North Carolina died after he sustained a severe blow to the head, illustrating how dangerous and serious head injuries can be. Police say that the 12-year-old Wilmington boy died after he was hit by a baseball during practice. The incident occurred at a local middle school and was part of after-school athletic practice. According to witnesses, the boy was hit in the head by a line drive ball at the Roland-Grise Middle School. After the accident, the boy was rushed to a nearby hospital where he received treatment. Sadly, it was too late and the boy died later that night. Officials with the school district have offered their condolences while family and friends are stunned at the sudden death of an athletic and healthy young boy. Though it may seem difficult to believe, baseball is actually the deadliest sport for children between the ages of five and 14. 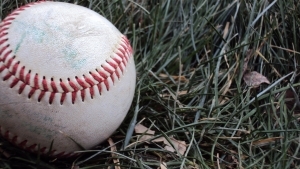 The Consumer Product Safety Commission estimates that four children die every year from injuries they sustained playing or practicing baseball. January 8, 2013 | Matthew R. Arnold, Esq. Despite reports that NASCAR driver Dale Earnhardt Jr. suffered a serious concussion last year, the organization has said it will not require that cognitive testing be done for drivers in 2013. However, the group did not rule out baseline cognitive tests for 2014 as it said it would continue to evaluate its procedures. The famous driver suffered a concussion after a crash that took place at the end of August last year at the Kansas Speedway. Earnhardt suffered from some concussion symptoms after the crash but it has been revealed that he never had any follow-up exams. Perhaps worst of all, Earnhardt immediately returned to the regularly scheduled season and continued racing despite the brain trauma. He was then injured again and suffered a second concussion in a wreck that took place during the final lap of an early October race at Talladega Superspeedway. This risk of re-injury is what can compound the effects of a concussion and lead to severe problems down the road. The doctors were sufficiently concerned after his second concussion and ordered him to sit out of races over the next two weeks. NASCAR officials claim they never knew about either concussion until Earnhardt revealed them after his second injury. An official with NASCAR says the organization is still gathering information about concussions and is not yet prepared to release a policy regarding any new procedures. Rather than require baseline testing now, NASCAR intends to start by educating drivers about the dangers of brain injuries. Whether this will be enough to prevent other drivers from suffering the same injuries that have occurred in those who play professional football remains to be seen.